Galloping Through Ireland! Town And Gown. 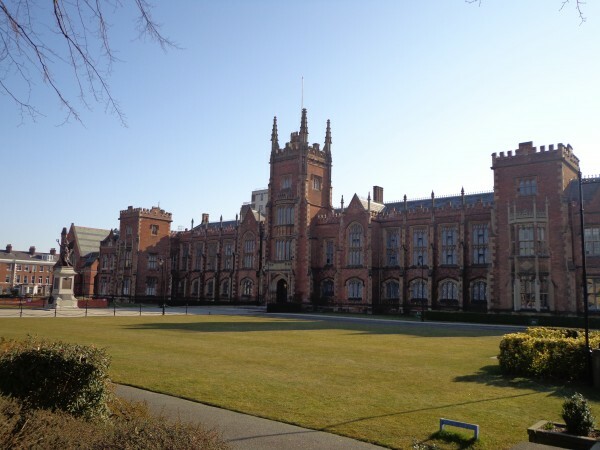 The conference was at the lovely Queen's University Belfast. 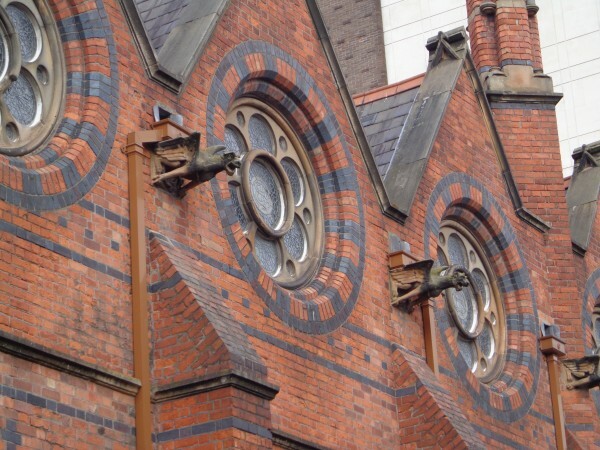 Here's an amusing thing to know about Belfast: The city has this amazing obsession with Queen Victoria. Almost every third item in the city is named after her. 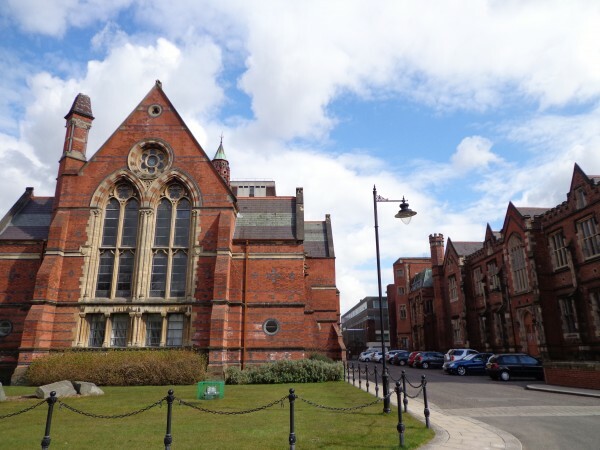 There's Queens University, Great Victoria Street, Queens Road, Victoria Park, Victoria Street, Victoria Road, Victoria College, even the Victoria Square Shopping Centre. All of this for a woman who spent a grand total of three hours of her life in the city. But part of her legacy was Queens University . . . The university is located in a lovely, hip neighborhood with plenty of fine restaurants. Take a look at that building. It is constructed of solid marble, inside and out. It is a singularly graceful and impressive piece of civic architecture. So what does the city of Belfast decide to put inside this solid-marble treasure, right in the large, hollow, echoing atrium, as a sonic treat for scholars who study music and culture? 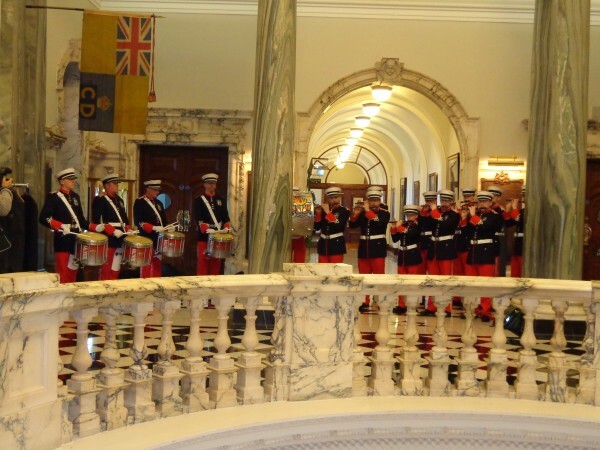 Why, a gen-you-wine Ulster pipe-and-drum band! Or maybe that was just the wine. 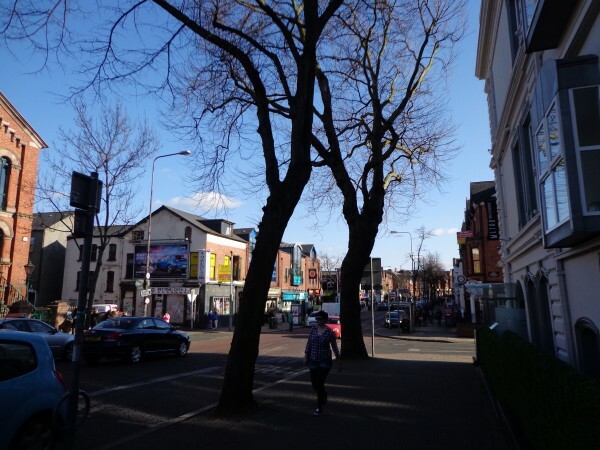 One more post on Belfast, I think, and then onward. Oh, I'm glad I got to see a picture of the band!! Frankly, I'm surprised you didn't actually hear the band all the way down in Cork! They were very good, and I'm glad I finally got to hear one of these bands in person, but dayum, they were loud! I think they even beat out Little Sister Pony's college graduation, in which her school decided that it was a good idea to put four bagpipers in a gymnasium. I wonder how much time Victoria spent in Cork? The thing that makes Belfast's obsession with her so wonderful is that it was just the one three-hour visit. 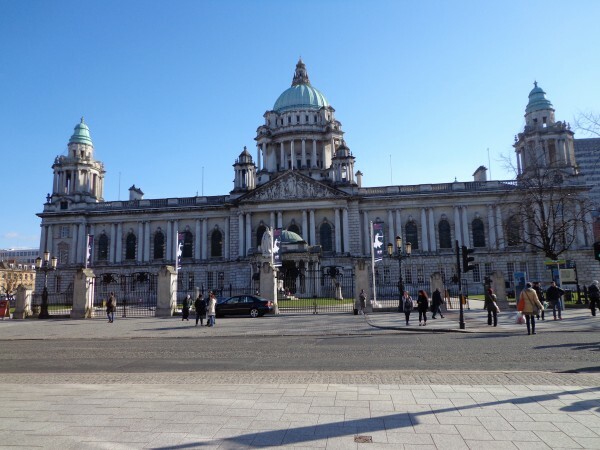 Very beautiful buildings and I had no idea that the Irish loved Queen Victoria! Did you learn why? Was she a sponsor oh theirs? Well, this part of Ireland has apparently been more pro-British than the rest (which is why it is still part of the UK), and I guess Victorians were just as Queen-of-England-mad as we are today, except there was more stuff lying around unnamed and ready to name after her. I bet that, if there had been a whole bunch of new unnamed streets and institutions in the 80s, they'd all have been named after Diana. Pretty campus and that marble building is incredible, but I was laughing about the acoustics. Yeah, you'd think it would be obvious that wouldn't be a good idea. Well, it certainly did manage to get our attention. 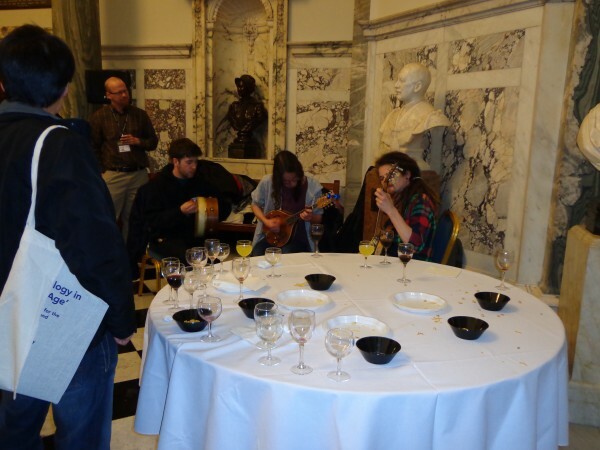 This was an international conference in a fairly small discipline where most people know most people, and it was essentially a party featuring friends who don't see each other that often. Getting all of us to pay attention to one thing pretty much required the services of Music To Annoy Catholics By.